Hi Gene - This is wonderful advice for millenials - they are surely eventually going to want to buy homes, and when they do the proper preparation will make a huge difference. Gene it is never to early to get pre-qualified and find out if there are any issues that have to be taken care of ahead of time. Hello Gene - another spot-on blog post, full of information to get the wheels of the mind turning. Hi Gene Mundt, IL/WI Mortgage Originator - FHA/VA/Conv/Jumbo/Portfolio/Refi As soon as we get rid of Dodd-Frank maybe the lenders will make it a little easier for everybody to get a mortgage. 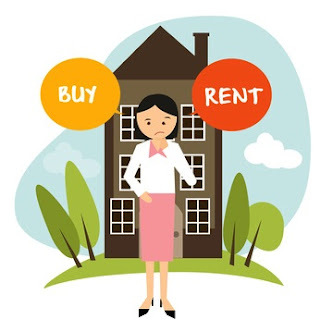 With the prices on rentals going through the roof . . . . Now is the time to move forward to buy a home and get out of the rental mary go round. Gene this is a good time to put yourself into into position to buy a home. Sage advice for everyone, Gene. It's never too late to start planning and saving. This is outstanding advice to share with future home owners. Gene- I'm going to save this and send this to some Millennials I know who are hoping to buy a home in the next year or two. Your information sets out exactly what they need to know and what they need to do now. Getting ready and being prepared makes the whole transaction go so much smoother. Great post Gene! Hi Gene - those are the statistics and these young people will be buying by age 31. I know many who smartly follow your suggestion and plan financially. This is a great tip, Gene. You can be sure when the buyers are ready they will be totally prepared. As usual, very valuable advice from you. I missed this the first time. So glad that Roy Kelley chooses such great reposts. Valuable tip, Gene! So many just jump in with no preparation and I love working with lenders who believe in preparation work! It's a win-win for all parties involved! Millennials would be wise to use your services and follow your advice! I remember how hard it was for me to get the right information, a compass, a blueprint, or just the right person to help guide me in Chicago back in the 1970's before Millennials were born! They are lucky to live in the age of information via INTERNET but the best source of information comes from referrals and people like Gene Mundt, IL/WI Mortgage Originator - FHA/VA/Conv/Jumbo/Portfolio/Refi who has been in the business for many years. This is excellent advice....should be Featured! I'm more into preaching the value of early prep for sellers...it's just as important for buyers!